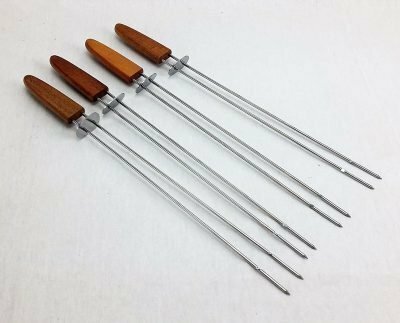 The double prong skewers by Mr. Bar-B-Q are made for those who take grilling there kabobs seriously. 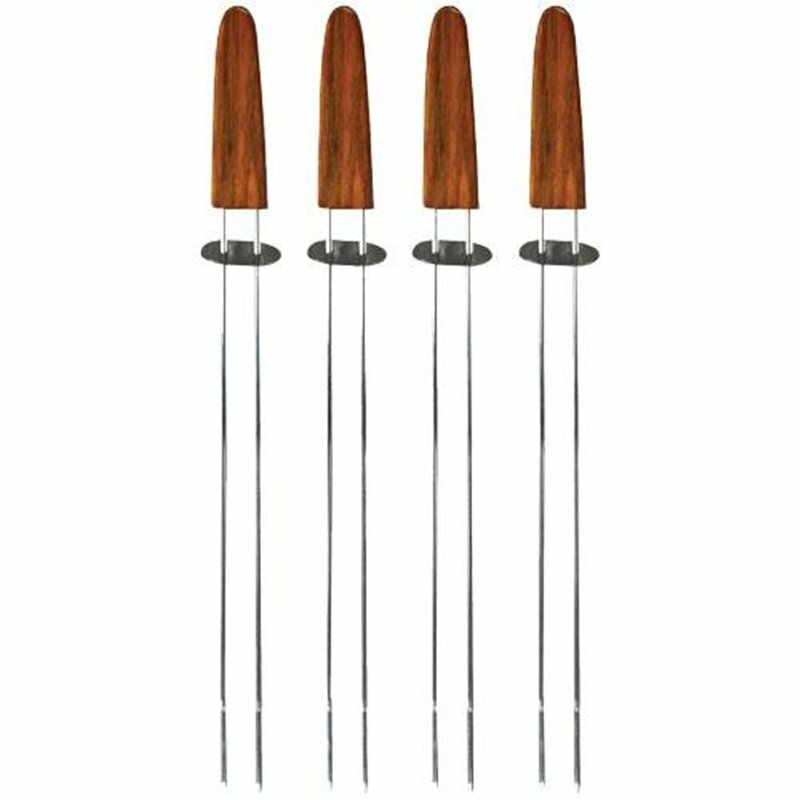 Sold in a set of 4 these 14 inch long skewers have everything you could want in a skewer. 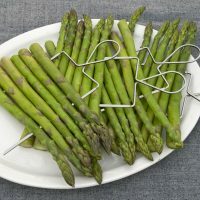 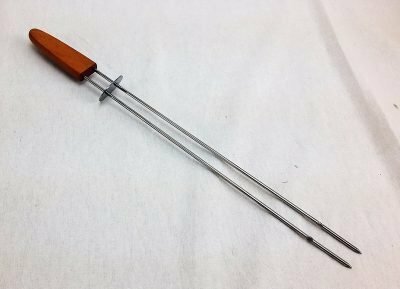 The double prong skewers dual stainless steel prongs are 11 inches long and include a stainless pusher plate. 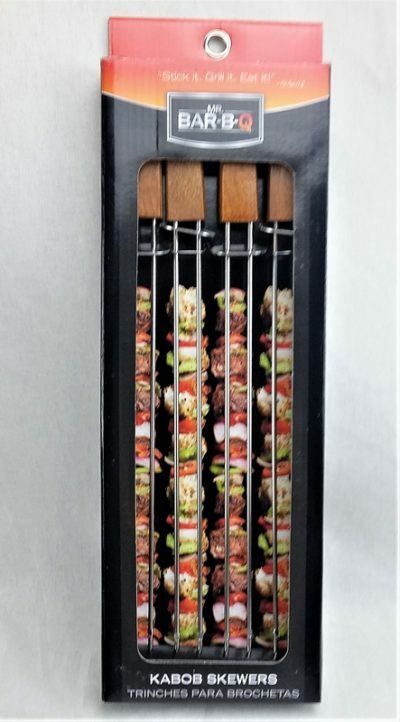 This plate makes removing your food from these double prong skewers a breeze. 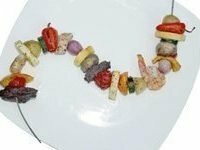 So you don’t worry about loosing that plate either. Each prong has a notch an inch and a half from the end to keep it from sliding off. 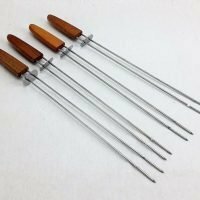 The 3.5 inch long tapered wooden handle is flat to make tuning your kabobs easier. 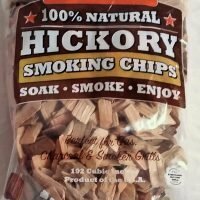 They have thought of everything. 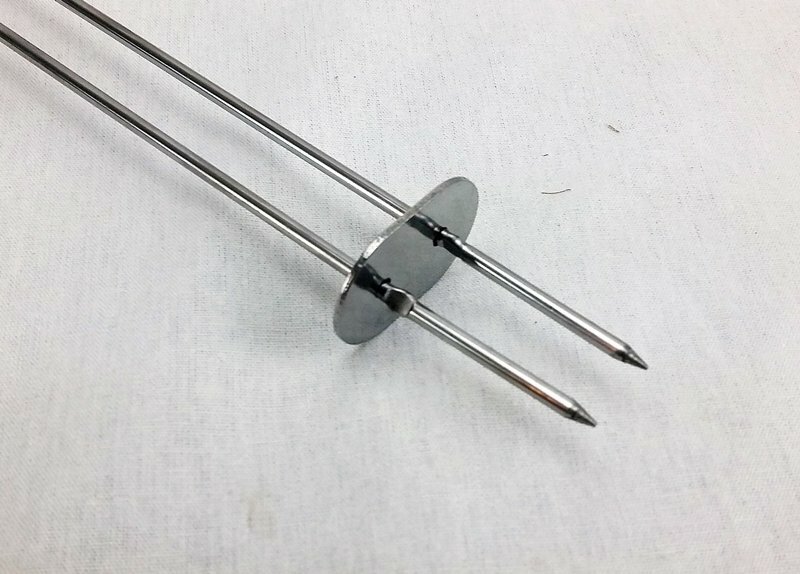 Why a double prong skewer? 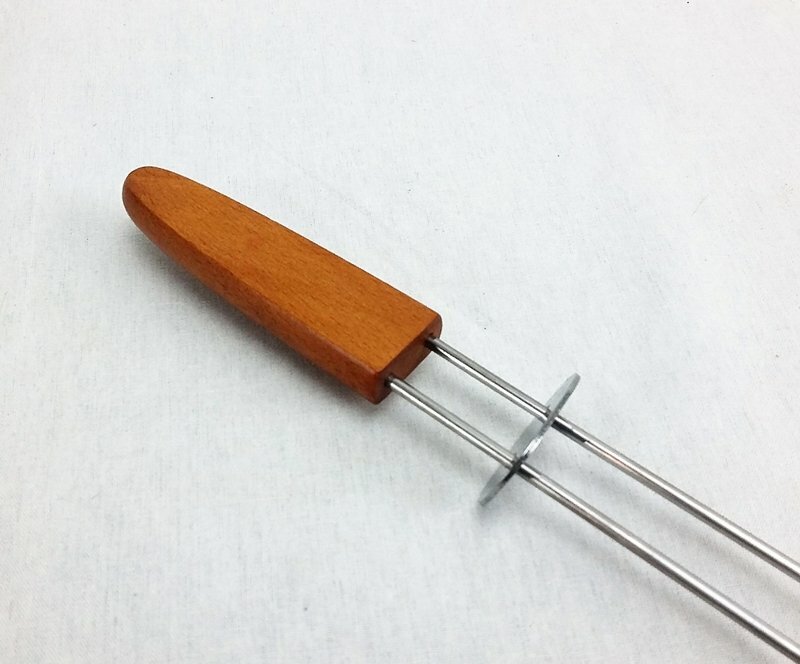 Two prongs hold your food more securely than a single prong skewer. 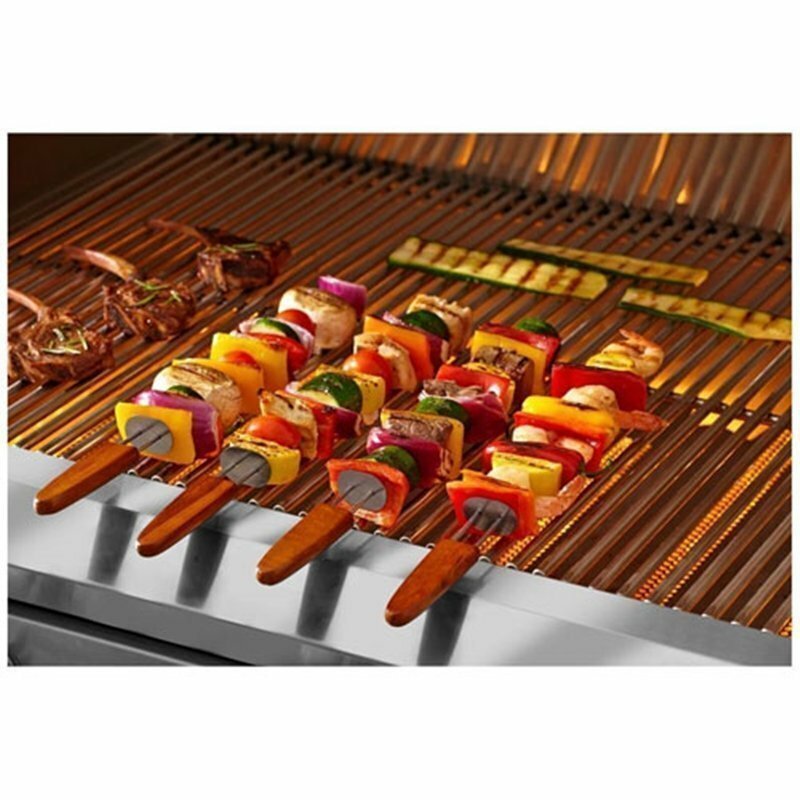 It also keeps food from spinning on it when turned, this is especially a problem when grilling softer food like vegetables. 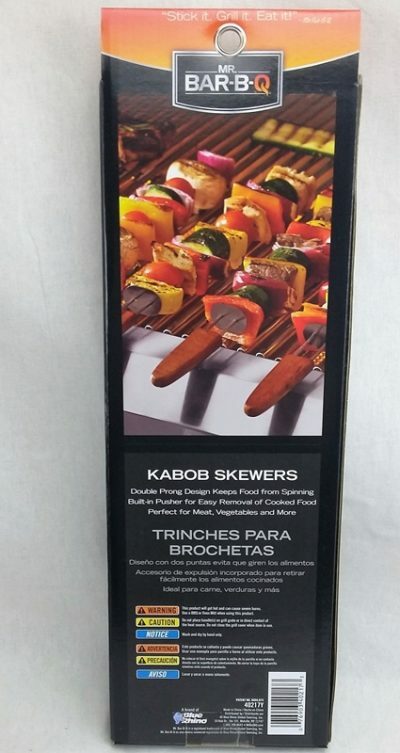 They also make for a better presentation when serving your kabobs. 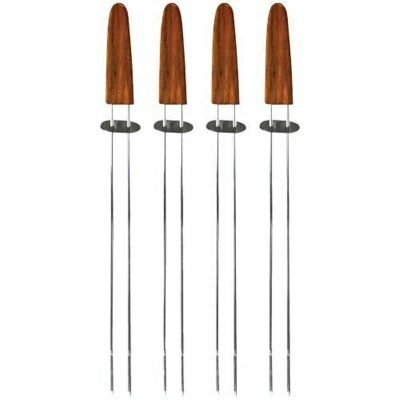 When grilling with the double prong skewers you will need to protect the wood handle from the flame. 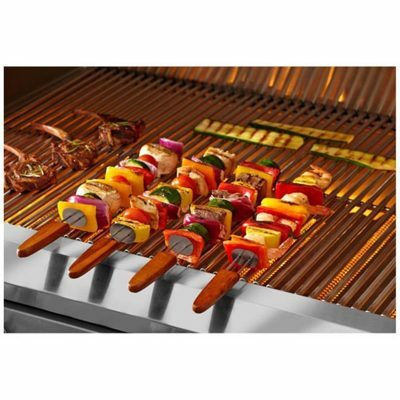 We recommend letting it hang off the edge of your grill as shown it the images. 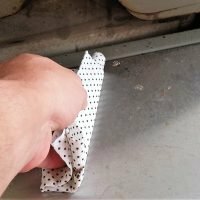 If you must have the handles on your grates keep it as far away from direct heat as possible and wrap it in a couple of layers of tinfoil. 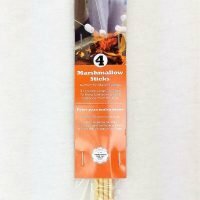 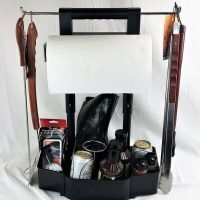 Because of the hardwood handle these skewers should always be hand washed and towel or air dried.